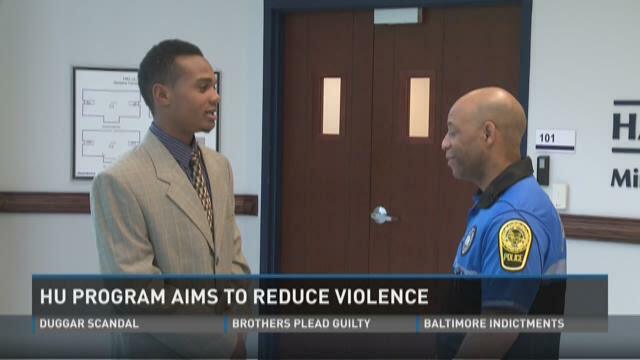 HAMPTON (WVEC) — Through it’s Men’s Violence Prevention Program Hampton University is trying teach young men skills that’ll steer them away from violence and towards personal success. One Newport News high school student Antonio Jackson joined the program saying he refuses to become another sad statistic or headline. “Hanging with my friends, smoking, doing crazy stuff,” Jackson, 18, says he wasn’t always being productive. He believes the violence prevention initiative changed his life. “Without this program I’d probably be locked up or something,” he added. The program aims to cut down on the number of black males who are involved in violence. According to the program more than half of the nations homicide victims are black, when African Americans are just 13 percent of the population. It says a high percentage of those victims are young males. “The program has helped me to think, and think twice,” said Jackson. Men, ages 12 to 25 from the Peninsula, were selected to take part in the nine month program. Organizer Raymond Samuel says students participate in workshops, create a non-violence public service announcement and have mentors. “We look to build up the young men, their self-esteem, teach them to value their history, who they are,” said Raymond Samuel, organizer.